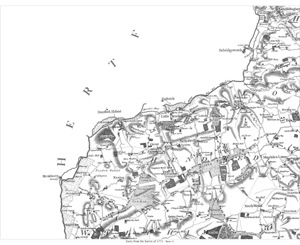 This map shows: (spelling as per map) the area from Saffron Walden in the west to Steeple Bumpsted in the east of the map, and from Hadstock in the north to Debden in the south of the map. Ridducks Hill is in the map centre. 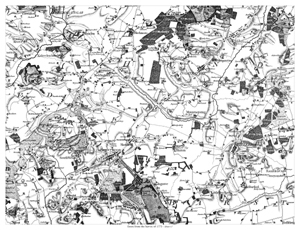 This map shows: (spelling as per map) the area from Stambourn in the west to Middleton in the east of the map, and from Pentlow in the north to Sible Hedingham in the south of the map. 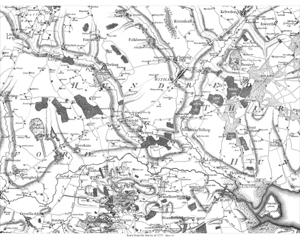 Showing (spelling as per map) the area from Stansted-Monfichet in the west to Great Saling in the east of the map, and from Thaxted in the north to Barnston in the south of the map. 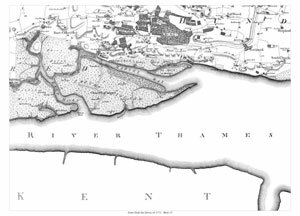 Great Easton is in the map centre. 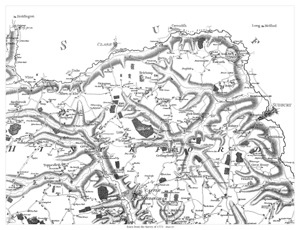 This map shows: (spelling as per map) the area from Weathersfield in the west to Great Tey in the east of the map, and from Pebmarsh in the north to Cressing in the south of the map. Rayne Hatch is in the map centre. 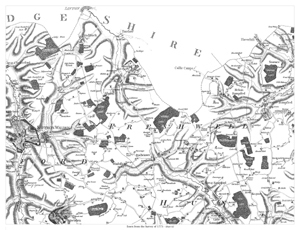 This map shows: (spelling as per map) the area from Aldham in the west to Elmsted in the east of the map, and from Dedham in the north to Fingringhoe in the south of the map. 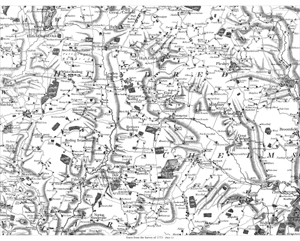 Mile-End is in the map centre. 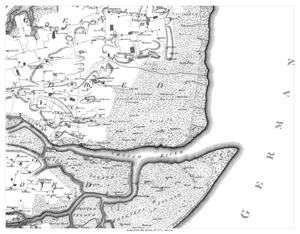 This map shows (spelling as per map) the area from Great Bromley in the west to Harwich in the east of the map, and from Maningtree in the north to Weeley in the south of the map. 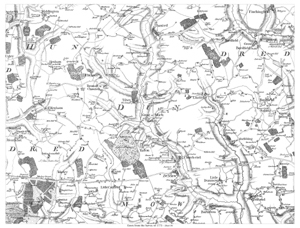 Great Oakley is in the map centre. 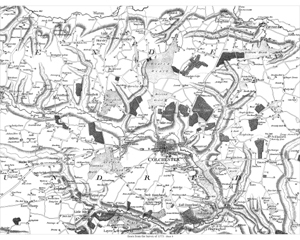 This map shows (spelling as per map) the area from Roydon in the west to Magdalen Laver in the east of the map, and from Harlow in the north to Weald Gullet in the south of the map. 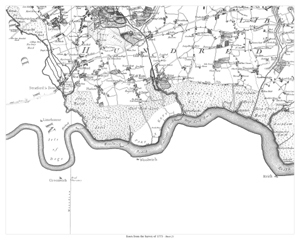 Little Parndon is in the map centre. 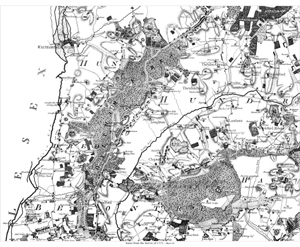 This map shows (spelling as per map) the area from Hatfield Heath in the west to Broomfield in the east of the map, and from Great Canfield in the north to Norton Mandeville in the south of the map. Berners Roding is in the map centre. 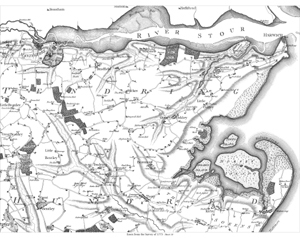 This map shows (spelling as per map) the area from Little Waltham in the west to Little Totham in the east of the map, and from Kelvedon in the north to Woodham Mortimer in the south of the map. Hatfield is in the map centre. 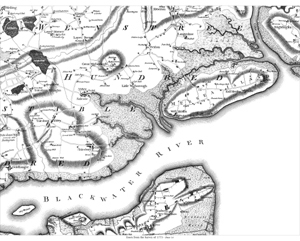 This map shows: (spelling as per map) the area from Beckingham (Toleshunt Major) in the west to Brightlingsea in the east of the map, and from Langenhoe in the north to Bradwell in the south of the map. 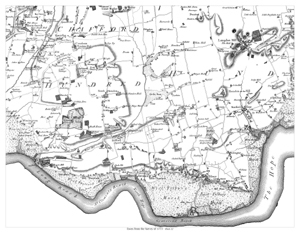 West Mersea is in the map centre. 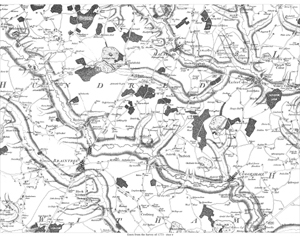 This map shows (spelling as per map) Waltham Holy Cross, Epping, Stapleford Tany, Theydon Mount, Theydon Cernon, Theydon Bois, Sewardston, Chingford, Loughton, Abridge, Lamborn, Stapleford Abbots, Havering ate Bower, Chigwell, Woodford, Walthamstow, and part of Rumford (Romford) in the SE corner. 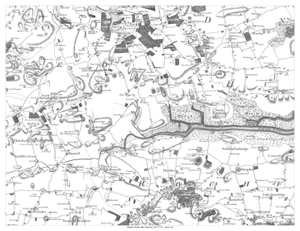 This map shows (spelling as per map) Haseley, Purley, Mundon, Snoreham, Lachingdon, Norton Cold, Stow Mareys, Woodham Ferrers, East Haningfield, West Haningfield, South Haningfield, Downham, Rettenden, North Fambridge, South Fambridge, Canewden, Little Stambridge, Assingdon, Hawkeswell, Hockley, Raureth, Runwell, Wickford, Ramsden, Nevenden, Raleigh, Rochford (part only), etc. This map shows (spelling as per map) Barking, Dagenham, East Ham, West Ham, Stratford, Leyton, etc.